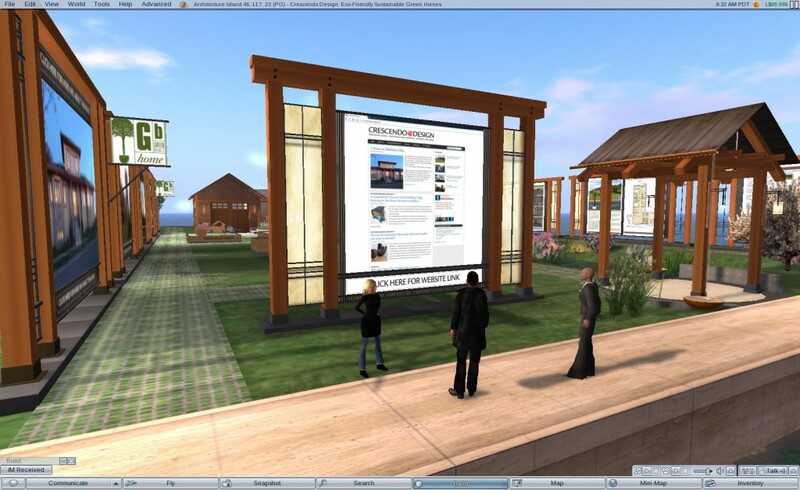 Using Second Life as part of my real-life practice, Crescendo Design, to meet with long-distance clients and describe design ideas are what drew me into virtual worlds – over 3 years ago now! 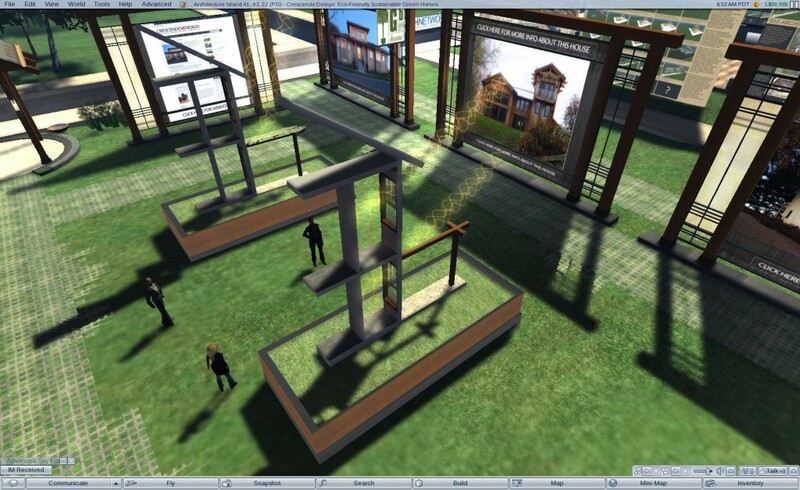 I have since had the opportunity to work on a wide variety of purely virtual projects, and still believe virtual worlds will become a game-changing technology for the professional practice of architecture, design and education. 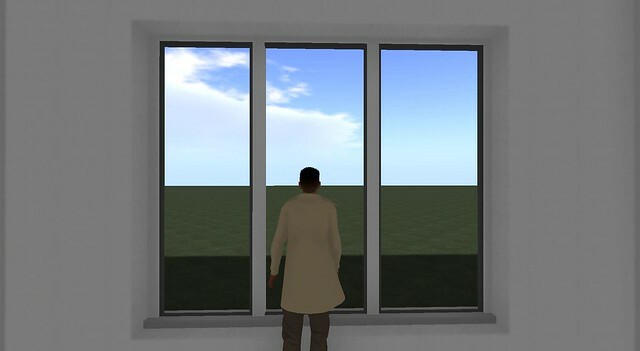 Crescendo Design has been using virtual worlds as part of our practice since June of 2006, and have found it to be a very useful resource for a wide variety of applications. 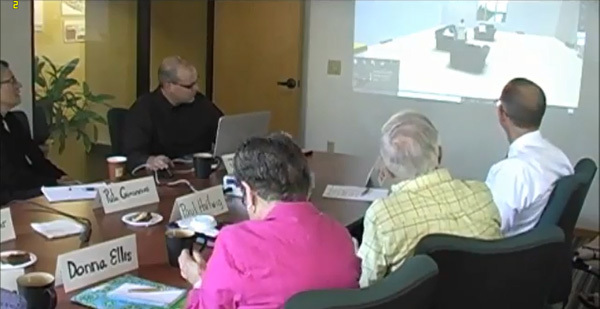 We’ve used our virtual office to meet with long-distance clients, prototype and share design ideas, host open houses, educational workshops and to demonstrate some of the core design principles we try to incorporate in all of our work. During virtual meetings, we can test different design ideas in ‘real time’ – meaning the changes we make appear on your screen immediately as they’re made. 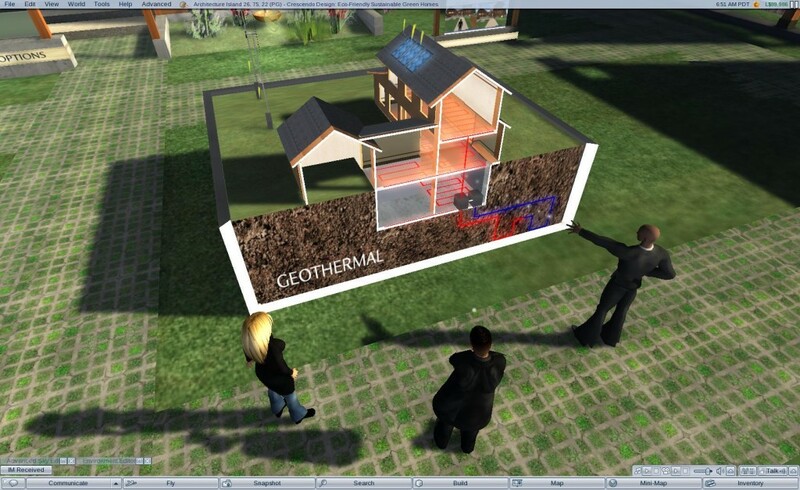 Clients and builders can even learn the simple building tools and make their own suggestions. 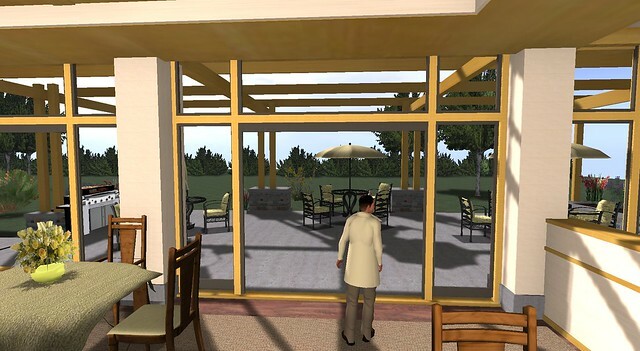 The virtual model works great for testing out material choices, paint colors and eventually even landscaping options and furniture layouts. 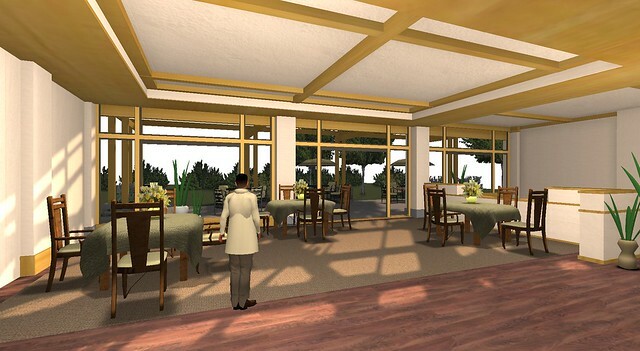 Recent advances in virtual world technology have made it much easier to import the 3D models we generate with our architectural software into the virtual environment. 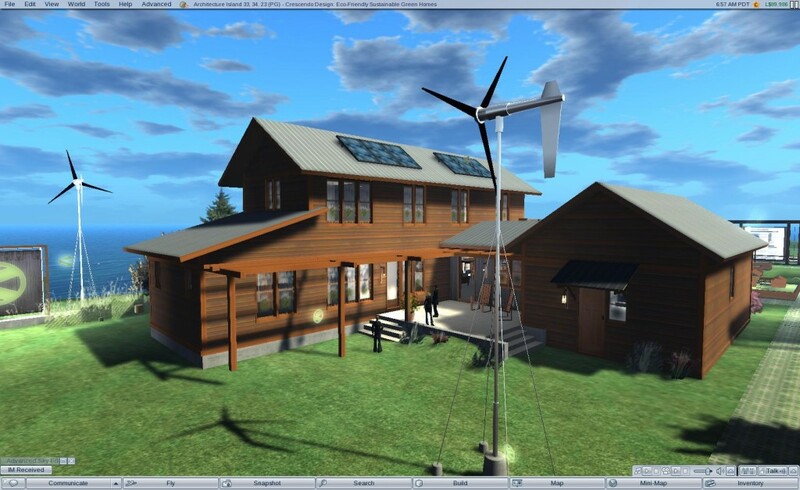 The virtual experience isn’t right for every client, but for those who are more tech-savvy and have newer computers, the virtual experience can provide an invaluable means of understanding design ideas before construction starts in a way that sketches, illustrations, and even animations cannot fully accomodate. 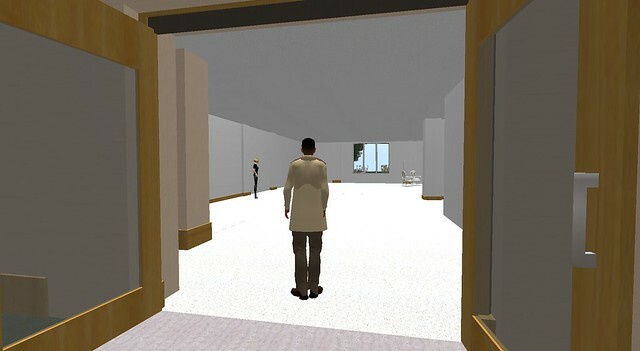 The virtual model provides a much more holistic representation of the design, enabling clients to walk around and experience the design in an immersive way – rather than looking at floor plans and trying to imagine what it will look like. 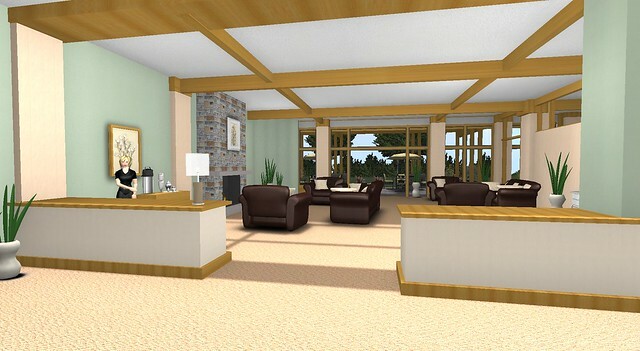 Clients can even give friends and family access to their virtual home, to hear their feedback on the design. 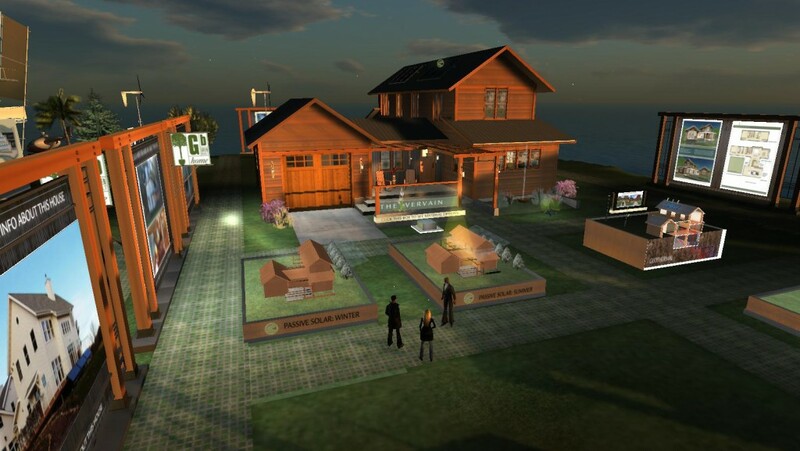 For example, if you’re building a new home in Wisconsin, but have family in Australia you want to share the design with – you can provide them log-in information. 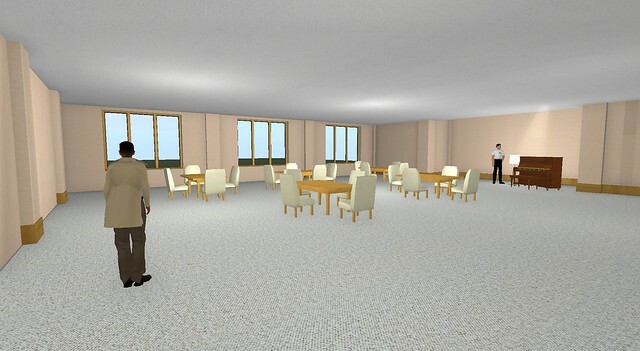 Soon, they will be standing next to you inside of your soon-to-be new home, and you can invite them in for a tour. 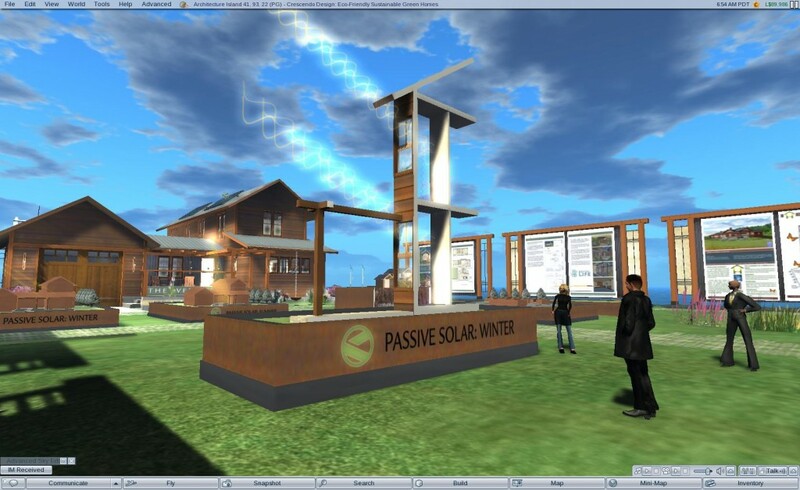 You can even talk to each other with embedded spatialized voice – similar to a phone call or Skype – only its totally free, no matter where you are in the world, and no matter how many people join you for a tour.